These fun NO-PREP pattern block centers are the perfect way for your students to practice their math skills in an interactive and hands-on way! 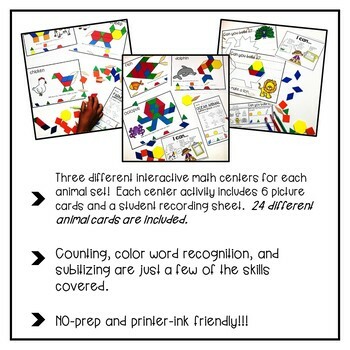 Counting, shape recognition, probability and graphing are just a few of the math skills your students will practice with these ANIMAL pattern block centers that you can use ALL YEAR LONG. A total of three different centers are included for EACH THEME, as well as six different picture cards for each center. That's a total of 24 different animals! Best of all, this activity is NO-PREP! 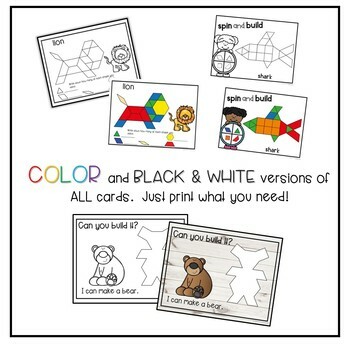 Just print and add pattern blocks!!! This also makes a wonderful addition to your morning tubs, STEM activities or early finisher bins! BUY THE BUNDLE AND SAVE $$$$$. 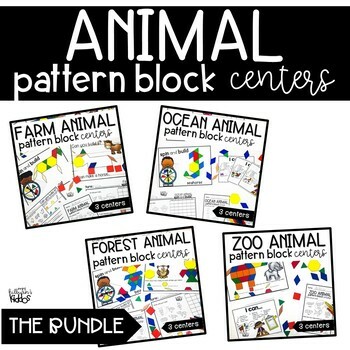 By purchasing this bundle, you are saving over 20% off of the price of 4 individual animal pattern block centers. Check out the preview for a closer look at this product. 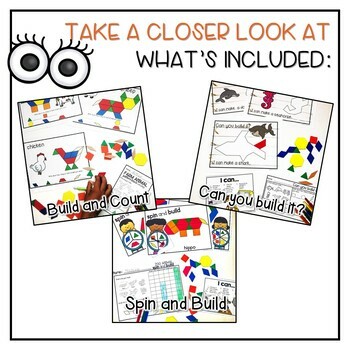 If you are looking for other great math bundles or pattern block activities, you may want to check out the following items.